China’s most authentic and influential business media for luxury, fashion and lifestyle. The entrepreneurship activities in China fashion consumption has been vigorous, which attracted many talents to join from other fields. They have brought over innovative technology and business model, as well as a broader global vision and dynamic internet thinking. “Luxe.Co Global Fashion innovation and Investment Forum (华丽志全球时尚创新与投资论坛)” invited four outstanding entrepreneurs in this area to share with us their experience in the new fashion consumption entrepreneurship. 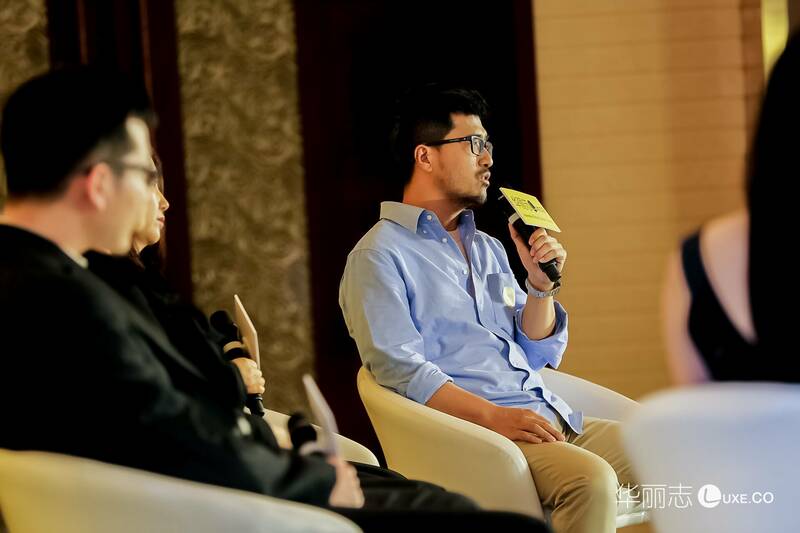 At the roundtable discussion “New Ecology of Fashion Consumption Entrepreneurship” at Luxe.Co Global Fashion Innovation and Investment Forum (LGFIIF), Ming Yan, Founder and CEO of LOOK (严明，LOOK创始人和CEO) shared his opinion. Luxe.Co also invited other outstanding entrepreneurs for this roundtable, Mengyuan Liu, Founder of YCloset (刘梦媛，衣二三创始人), Yuxuan Leng, CEO of Cosmo Love ( 冷雨璇, 时尚致爱CEO) , and Jun Xu, Founder of Meiweirensheng (徐军，美味人生创始人）. Founded in 2016, LOOK is leading company in fashion innovation in terms of mini-program e-commerce. LOOK is the sole e-commerce partner for many fashion and lifestyle influencers, such as Gogoboi, Shiliupobaogao, ELLE and AD. LOOK provides systematic solutions to self-media in the areas of e-commerce technology and supply chain and services. LOOK raised 22 million US dollars in Series A/A+ financing led by GGV and Fengshion Capital and followed by Ceyuan Ventures, Purple Sky Capital and Zhencheng Capital. The founder and CEO, Ming Yan is a senior media and internet professional. With a MA degree from Fudan University, Mr. Yan was the Country General Manager for the real estate division at NetEase. He is an expert in content commercialization. Claire Shen: Founders are key for a business or entrepreneurship. What is the reason when you first started entrepreneurship in the fashion consumption field? Ming Yan: I worked for media previously and my attention turned to the area of content commercialization. Our company is call “Yan Zhi You Wu Technology”. “Yan” is content. “Wu” is goods or transactions. We want to connect content and transactions. From our point of view, users’ purchasing behavior model and the whole trend have experienced drastic changes. Transactions and content are growing closer now and in the future. We have been thinking what LOOK can do riding in this wave of consumption changes. I have no fashion background. I had worked 8 years in sports and 4 years in real estate. I came to this industry by chance. My wife and many friends are fashion customers. We can see many trends in the fashion consumption field. With our advantages in internet, and commercial insights in the industry, we want to find user value in a deeper level. Claire Shen: You all came from different backgrounds. Now you are serving mid-to-high end fashion consumers. Many people think fashion is a good business with high gross profit margin. But on the other hand, customers are cluttered. It takes efforts to reach them. How do you approach and obtain customers? Ming Yan: For any start-up companies, users are the core value. LOOK’s business model is entirely based on users. In a sense, LOOK can be categorized into the “decentralized e-commerce” business model. LOOK is helping influencers build their mini-program or e-shops. The famous fashion influencer, Gogoboi was the first top influencer that LOOK worked with. We have over 100 top influencer partners now. They have huge industry impact. One of our important principles is to go from the top. With asymmetric information, it is difficult to judge which service provider is the strongest. But when others see that the top player is working with LOOK, it will create an attraction. Claire Shen: No matter whether you establish your own brand or serve other brands, you are dealing with brands. What is your understanding of brands. How significant is the power of brands? Ming Yan: LOOK serves two types of brands, influencer shops and media shops. For them, they are an IP themselves. When we cooperate with them, we will develop strategic plans together to figure out their customer groups and what problems to solve. These strategies reflect the branding of the shops. The brand value is huge, and the definition of brands is not narrow. LOOK is helping new brands to reshape themselves, completed without though the customer side directly. LOOK helps brands broadcast through influencers, in order to be recognized in the industry. That is, the process of acquiring users is achieved through cooperating with bloggers and influencers. After bloggers and influencers understand the product, they will pass their experience to users. We have achieved good effect at present. We hope to help 100 brands for better broadcasting and online sales this year. Featuring “Innovation Drives Fashion Forward” and “Embrace the Golden Age of China Fashion Entrepreneurship and Investment”, Luxe.Co Global Fashion Innovation and Investment Forum was launched in Beijing on April 18th, 2018. The most outstanding investors, entrepreneurs, designers and senior managers in the fields of fashion investment and brand innovation gathered together at the forum for thirteen speech, dialogue and roundtable discussions, presenting the latest trends of China and global fashion investment and entrepreneurial innovation. 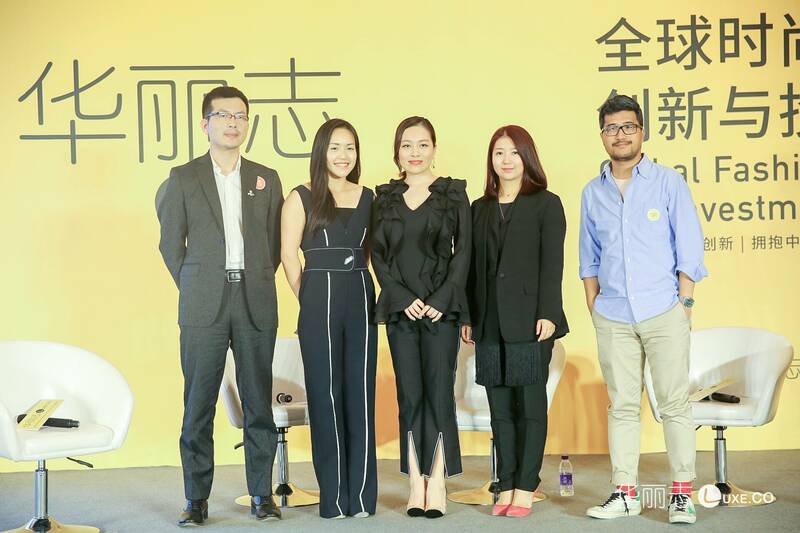 In the photo above from the left to right, Jun Xu (Founder of Meiweirensheng), Claire Shen (Luxe.Co), Mengyuan Liu (Founder of YCloset), Yuxuan Leng (CEO of Cosmo Love), Ming Yan (Founder and CEO of LOOK) also presented and shared their thoughts with the audience of the forum.